Clean once a week. While cleaning once a week is a good starting point, twice a week would be even better. If making time to clean is a challenge, the task will become less arduous once you come up with a consistent routine and stick with it. Declutter your home as much as possible. Take the time to eliminate clutter so that dust has fewer places to settle and hide away. Use a damp dust cloth. Instead of dusting with a dry cloth, dampen it first. This will allow you to actually pick up dust as opposed to just moving it around. A good dusting spray will also do the trick. Vacuum the right way. This can be achieved by using a HEPA (high efficiency particulate air) filter, which is particularly good at capturing dust mites. It’s also important to change the filter regularly. To determine the frequency that’s recommended for your machine, follow your vacuum’s instructions. Wear a mask and gloves. In addition to wearing a mask and gloves while cleaning, be sure to cover yourself with long sleeves and pants. A face mask creates a physical barrier between your mouth, nose and the contaminants that trigger your allergies. Protective clothing and gloves will help prevent allergens from irritating your skin. Leave your house for a few hours. Cleaning tends to kick up dust mites and allergens, so once you’ve done a deep clean, get out of the house and allow them to settle. Try to leave a window or two open, weather permitting. 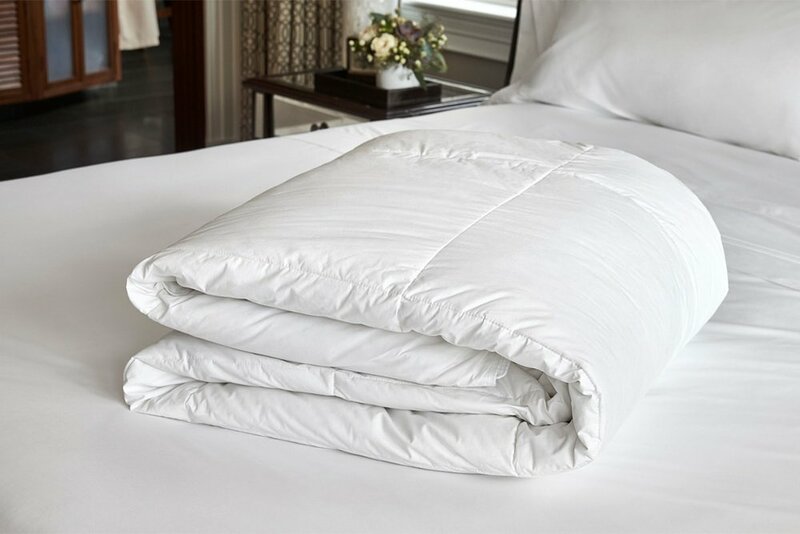 Wash your bedding weekly in hot water. Bedding is a prime area for dust mites, so keep this task at the top of your priority list. It’s also a good idea to vacuum your mattress, as well. Change your AC and heating filters. Air conditioning and heating vents regularly filter air through out your home and capture dust and dust mites in the process, so be sure to change these every three months. A good way to remember this important task is to change them with the seasons. If your allergies are too severe to tackle these tasks on your own, hire someone to do this type of cleaning. Your health and well-being are worth the investment.